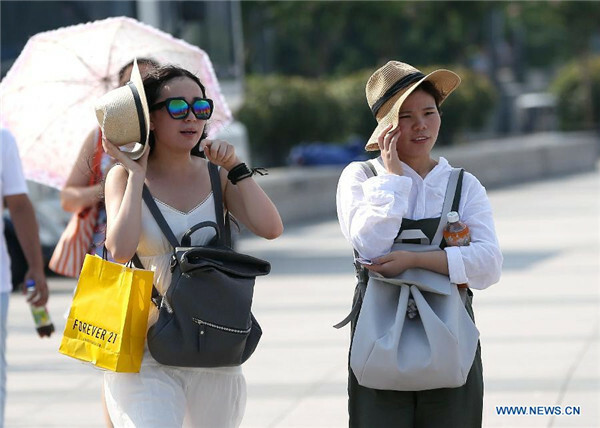 China's meteorological authority on Wednesday issued a yellow alert for high temperatures in southern and western regions. A heat wave will sweep across most of areas along the Yangtze and Huaihe rivers, regions to the south of the Yangtze River, parts of the northwestern Xinjiang Uygur Autonomous Region, and the southwestern Sichuan Basin, over coming days, the National Meteorological Center (NMC) said. Temperatures in most of the affected regions will exceed 35 degrees Celsius rising to as much as 42 degrees Celsius in some areas, according to the NMC. China has a four-tier, color-coded warning system for severe weather, with red being the most serious, followed by orange, yellow and blue.